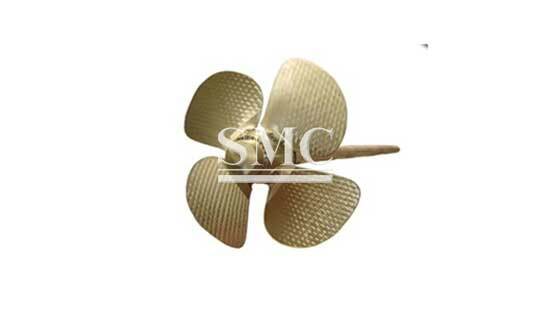 To meet the harsh ocean environment, NGC engineers take full consideration of reliabilities during the hydrodynamic calculation, structural design and material selection, which make our controllable pitch propellers are featured with good reliability, simple configuration and maintenance friendly, etc. The hub is designed with large diameter servo piston, and the hydraulic force of the piston works on the yoke, so as to decrease the work oil pressure required by the hydraulic system. Combining the test to the propeller design, we apply the large skew propeller and optimal disc ratio solutions to lower down the cavitations and vibration of the propeller, in this way, not only the navigation speed and towing force can be satisfied, but also the operation performance and economical efficiency of the ship is improved. During the shaft line design, the engineers take account of the negative influence to the shaft strength, vibration and alignment caused by the bending stress load change, propeller stress, gear meshing load and the bending stress of main engine crank shaft, and the calculation result fits more with real work condition. During the navigation, if the feathering CPP does not work, the blades can be adjusted to the downstream condition to decrease the resistance effectively. Hydraulic system of NCP series CPP is composed of OD box and hydraulic power pack, and the power pack is split into two types: single pump and double pump. The single pump power pack is the standby, main pump is the pump driven by the gearbox. There are two sets of electric pumps in double pump power pack, which can transform between one another automatically. 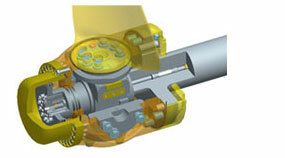 The OD box can be mounted in front of the gearbox or on the shaft line. 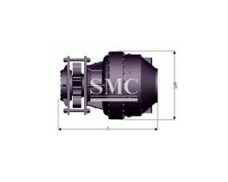 These two arrangements of gearboxes are attested to be very reliable and flexible to maneuver. 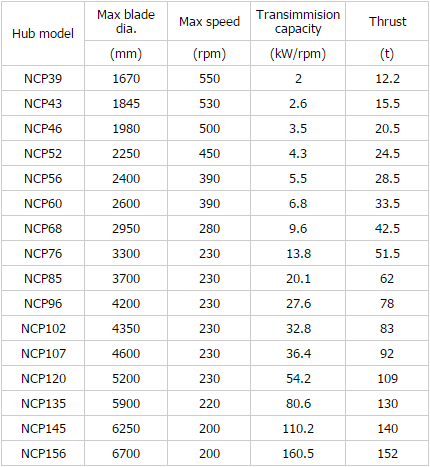 NCP6000 remote control system, cooperated with NORIS, is the fully follow-up control system based on PLC, and its main control points are main engine speed, CPP pitch and gearbox clutch-in/out. It can not only display the current work condition of the ship, it can also carry out the remote failure diagnosis and emergency treatment. This type of control system is designed with good expansibility, friendly human-computer interface, high reliability and easy operation, etc, and has been widely used all types of vessels.